Fashion Brand Mexx to Relaunch in Canada: According to a report in WWD, the Dutch fashion brand will be re-launching in Canada after the company closed all of its Canadian stores in early 2015. Mexx operated more than 100 stores in Canada at one time, which included a mix of mall and street-front stores — and interestingly, there were only 11 locations in the United States. The Canadian stores, as well as many new international locations, are expected to operate as franchises as was the case with past operations. According to WWD, the new Mexx will include a new brand image, new website and smaller store prototype. Five company-owned Mexx flagships are planned for Paris, Belgium, Amsterdam, Berlin and Munich, according to WWD. These will be created by Boffi Design with a contemporary minimalist look, and will be substantially downsized for the ‘digital age’ from the typical 8,611 to 12,916 square feet of former Mexx stores, to a much smaller 2,152 to 3,229 square feet under the brand’s relaunch. The Mexx nameplate is being revived by three former senior executives who had agreed to a management buy-in to Mexx International. These include CEO Leo Cantagalli, brand director Nur Basaran, and CFO and COO Jacques Mitterand. Stay tuned for a Mexx’s Canadian relaunch! Uniqlo Questions Whether Size Matters with CF Richmond Centre Launch: Japanese retailer UNIQLO has announced that it will open at CF Richmond Centre on April 6th. The store will become the smallest UNIQLO in Canada when it opens in the spring — UNIQLO says that the store will measure 8,010 square feet and it will be located on the first floor of the busy enclosed Richmond mall, which is one of the country’s most productive in terms of annual sales per square foot. This is the popular Japanese fashion retailer’s third Vancouver-area store at CF Richmond Centre with the previous two now operating at Guildford Town Centre and Metropolis at Metrotown, both owned and operated by Ivanhoé Cambridge. The anticipation for this third location was no different from other openings which have been greeted by Lower Mainland shoppers with much fanfare which sees passionate devotees of the brand’s casual wear queuing up for hours for the opportunity to be first one through the doors. Uniqlo entered the Canadian market with two stores in Toronto in the fall of 2016. In September of 2016, UNIQLO opened its first Canadian flagship, spanning 33,400 square feet, at CF Toronto Eaton Centre. A 30,000+ square foot Yorkdale Shopping Centre UNIQLO store subsequently opened in October of 2016, in the mall’s new Nordstrom-anchored expansion wing. Interestingly, in September of 2016, UNIQLO Founder and CEO Tadashi Yanai told Marina Strauss of the Globe & Mail that UNIQLO could eventually operate as many as 100 stores in Canada. While Yanai did not give a timeline for these expansion plans, the Prairies are waiting patiently! *Jeff Berkowitz of Aurora Realty Consultants represents UNIQLO as broker in Canada. 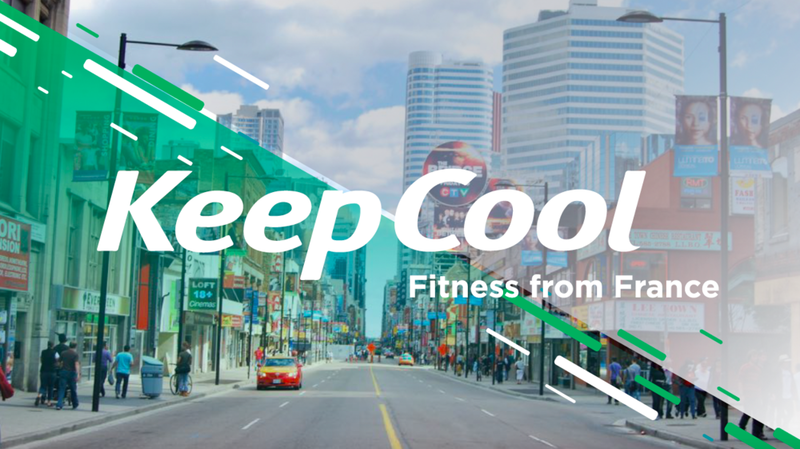 Keep Cool Fans the Fitness Flames with 1st Canadian location: With a plan to open three Keep Cool gyms in Toronto within two years, Director of Operations Tanguy Saillant has launched the first of a few in Toronto at 530 Yonge Street. The 6,500 square foot location is his first foray into the North American market with the uniquely French POV of fitness. The Keep Cool franchise offers a style of work-out that provides a balanced, low-pressure gym environment without judgement or intimidation and provides what Saillant describes as a perfect escape from life’s demands and pressures. Saillant brought the Keep Cool concept from France where it was established in 2002 and where there are currently 190 gyms in operation. The Toronto location is its first foray into the North American market and includes a bike studio, an elliptical studio, a studio gym, and several learning classrooms. 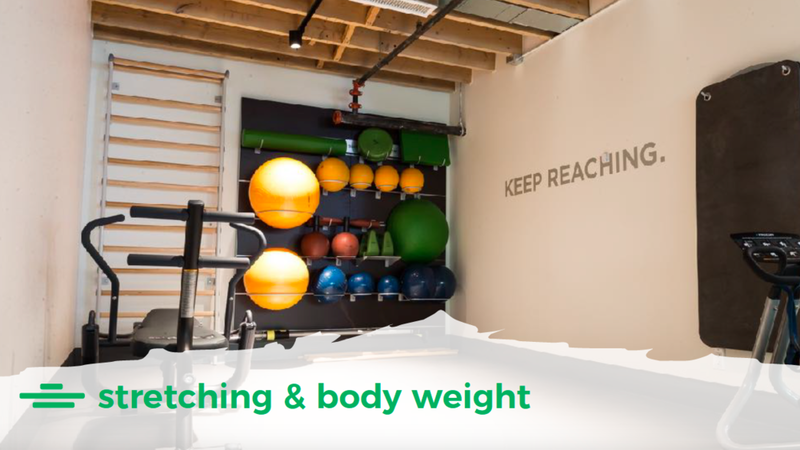 The location has all the amenities of a modern fitness location - WiFi, TVs, Internet, private change rooms and showers, modern equipment, a team of trainers, and very importantly, complimentary towels. The company used Montreal-based POTLOC's crowdsourcing platform to determine where the demand is for new locations. This platform provides market research for the retail industry to build smarter neighbourhoods by giving consumers a voice. POTLOC facilitates this by giving every citizen in a defined trade area the opportunity to choose the next stores they would like to see open in their neighbourhood. These hyper-local consumers’ insights are then used by retailers, real estate companies and cities to optimize the local retail offering. Aritzia brand Babaton opens at Square One in Mississauga: Vancouver-based Aritzia has opened its third Babaton at Square One in Mississauga. The 4,870 square foot location is ideally situated on the upper level near the Gap, Armani Exchange, Holt Renfrew and across the hall from the Rolex boutique. The Babaton brand differentiates itself from parent Aritzia by selling ‘timeless minimalism for the modern woman’ which are suitable for every day and the workplace. Originally an in-house label, Aritzia first spun Babaton into a freestanding store in late 2016. Babaton is the third Aritzia brand to launch in its own stores following TNA and Wilfred. *Dianne Lemm of brokerage Northwest Atlantic is working with Aritzia on its expansion under multiple banners. Deciem opens 2nd Vancouver store at Metropolis at Metrotown: Beauty and skincare brand Deciem has opened its second Lower Mainland store at Metropolis at Metrotown as part of their worldwide expansion. Located on the ground level next to Naturalizer and across from luxury brand Lugaro Jewellers with its easily recognizable chic distressed whitewashed interiors, metal pipe fixtures, and bold statement graphics. 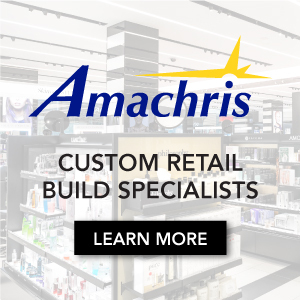 With a philosophy that touts Deciem as the "Abnormal Beauty Company,” this Canadian rebel brand, founded by east coast entrepreneur Brandon Truaxe, is opening stores worldwide in an effort to enhance awareness for their effective yet affordable products. The company has plans for a third Vancouver store but no indication has been made about where or when. At the end of January 2018, Deciem opened its first west coast location at 800 square foot store in the Vancouver’s downtown Central Business District. The storefront is located at 408 Howe Street at West Hastings Street. This corner location has great curb appeal with its window-heavy facade which draws in walk-by traffic. Founded in 2013, Deciem currently has its products carried at more than 20,000 stores in 18 countries, including 9 in Canada, with corporate offices operating in 7 cities. CF Richmond Centre Gets Fresh with Le Creuset: Le Creuset is poised to give British Columbians a fresh taste of its colourful cookware and accessories, with plans to open a boutique at CF Richmond Centre. Think Retail announced that the premium French cookware manufacturer and retailer has just finalized an agreement to open a 965 square foot boutique, right across from Uniqlo and Hugo Boss. It is an ideal location for Le Creuset, which has built a lasting legacy for quality wares that manage to be at once timeless and cutting edge. This will be the company’s second store in British Columbia and it recently celebrated two new market debuts, with a 750 square foot store at Halifax Shopping Centre and a 950 square foot store at CF Polo Park in Winnipeg. The new CF Richmond Centre location will bring Le Creuset’s store count to 12 in Canada. The company continues to target select markets, including downtown Toronto and Vancouver and there is speculation that they are considering opening another boutique in Montreal. *Tony Flanz of brokerage Think Retail represents Le Creuset in Canada. Yorkdale CONCEPT Space Launches Fifth Iteration with Prom and Party Focus: Now until March 31, the permanent pop-up space CONCEPT at Toronto’s Yorkdale Shopping Centre is showcasing vendors, stylists and experiences to style party-goers for the spring. CONCEPT launched at Yorkdale in the spring of 2017 as a permanent space for pop-up concepts — in less than a year it’s proven to be wildly popular, hosting a range of vendors including food, fashion, tattoos, and even Sunwing Vacations. It’s March break and almost prom time, and Yorkdale says it’s there to assist — Yorkdale Style Experts will pull the latest trends in fashion and accessories and guide shoppers to the stores that best suit what they are looking for in their look. A ‘Prom & Special Occasion Directory’ is available to shoppers at CONCEPT or at any guest services desk. As well, gift card purchases can also be made at the CONCEPT Style Concierge. Dyson Supersonic Styling - Dyson’s expertly trained stylists are providing complimentary styling consultations, including a customized Dyson Supersonic™ blowout “and leave feeling like the next Instagram sensation.” Dyson also recently opened its first store in Canada in the mall. LIPCANDY – Handcrafted lipstick using ingredients you can actually pronounce: products are all handcrafted using no preservative (like parabens, petroleum-based oils, or artificial fragrances). LIPCANDY's colours are rich, luxurious and look terrific on every skin tone -- no doubt a good thing in multicultural Toronto. Shari Gold - Offering a variety of lash services including full-set classic lash extensions, half set lash extensions, lash lifts, tinting, and complimentary skin consultations. Novon Collections - Michael da Costa will be showcasing the Novon Jewellery Collection, which features customizable and interchangeable pieces that create a variety of looks in sterling silver, natural stones’ and Swarovski pearls. As well, Yorkdale is offering ‘The Yorkdale Prom Experience’ where one can sign up for a private or semi-private one-hour shopping session with a Yorkdale Style Expert. The Yorkdale Prom Experience is $25/person for up to three students per session. This offer will be valid until March 31 and can be booked at the Style Concierge booth inside CONCEPT or at the Yorkdale Style Concierge space (located between Pandora and Swarovski) Upon booking, students will fill out a questionnaire that will help Stylists tailor the experience to each student. Valid student IDs will be required upon booking. Win Back your Prom Purchase: Customers who visit the Style Concierge booth at CONCEPT with their prom purchase receipts can receive a ballot for a chance to win back their prom look in the form of a Yorkdale gift card (up to a maximum of $1,000) Shoppers can increase their chances of winning and receiving an extra ballot, by taking a selfie in CONCEPT and showing Style Concierge reps their social media post using the hashtag #GRWYKD. Valid student IDs will be required to enter. 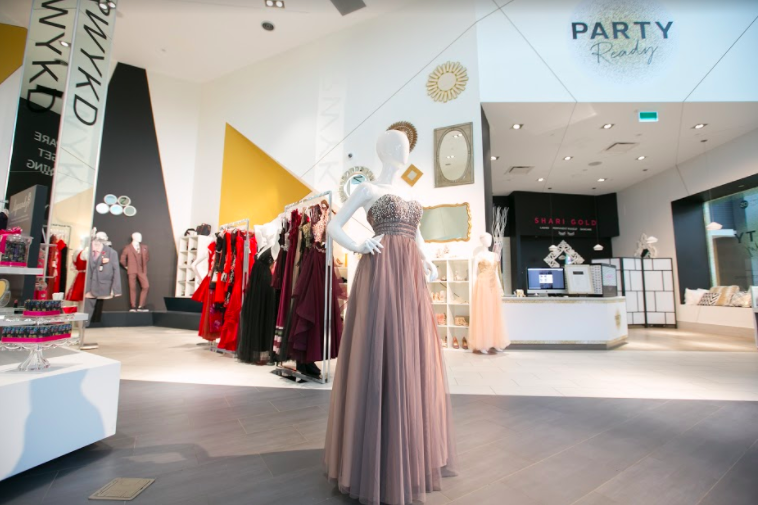 New Circles Donations to the Prom Boutique: Yorkdale has partnered with New Circles Community Services’ Prom Boutique, a program that enables graduating high school students across Toronto, who may face economic barriers, to be fully outfitted for Prom at no cost. Style Concierge representatives will be accepting gently worn formal wear that will go to low income families seeking formal wear for special events such as prom and weddings. New Circles operates the largest clothing bank in Toronto under the name of GLOW (Gently Loved Outfits to Wear) designed to offer a retail shopping experience that preserves dignity for clients. Donations will help those in need with a similar shopping experience that can be such an important part of the prom-going or wedding-going experience.